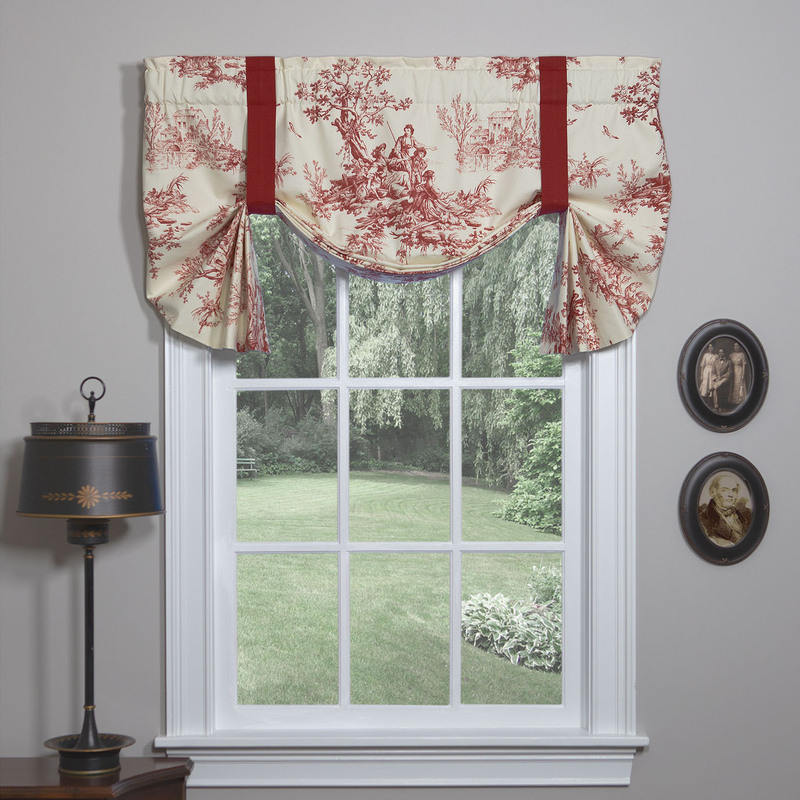 The Bouvier Red tie up valance features the toile main print with red straps. The valance is fully lined with 50/50 polyester and cotton. Face fabric is 100% cotton duck. Straps are not adjustable. Dimensions: 54" x 28" with a 3" rod pocket. Dry clean recommended. Manufacturer UPC 013864117043. Made in the USA by Thomasville at Home.